We know that being down is not an option for you. If your conveyor belt system breaks down or isn’t operating at peak efficiency, it can have a devastating impact on your company’s productivity — and profitability. That’s why SEMCOR offers a comprehensive menu of prompt, reliable conveyor belt services you can access around the clock, if needed. We can be reached 24 hours a day, seven days a week to fabricate what you need from our plant or to come onsite and help you out of a jam. A conveyor belting system failure can occur at any time and can bring your entire operation to a halt. Whether you need major or minor conveyor belting repair work, the team at SEMCOR is ready to help. We are familiar with virtually every type of belting system used in today’s industrial processes. We will arrive at your facility as quickly as possible and have you up and running quickly. Twenty-four/seven emergency repair service is also available. Hot Belt Splicing: We have the expertise to effectively execute the challenging process of hot belt slicing via vulcanization, which involves the precise application of heat and pressure. 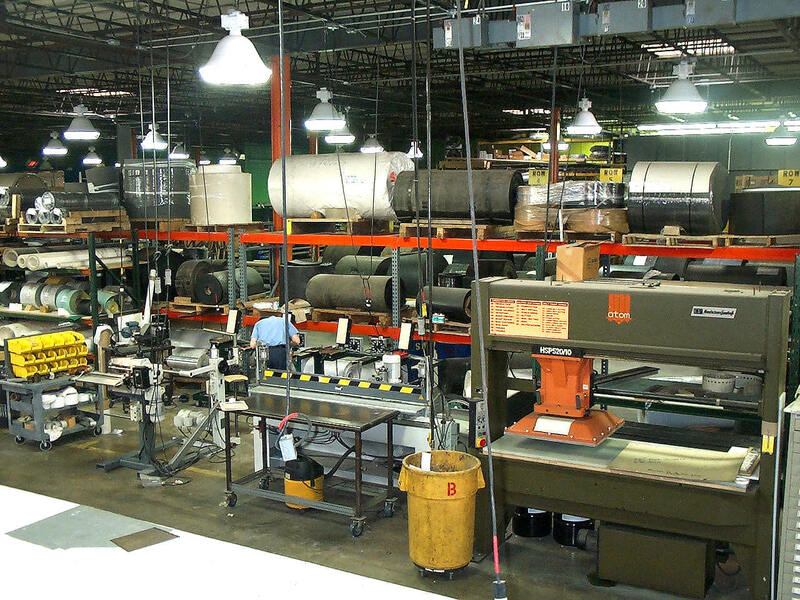 Conveyor Belt Tracking: We have the ability to perform conveyor belt tracking service and repairs to ensure your belting is in proper alignment and maintains the desired path. Grommet Setting: Our conveyor belt solutions include accurate grommet setting to ensure those small but extremely important grommets are properly guiding the belt during operation. Lacing: Our list of expert belting services also includes checking, repairing and, if necessary, replacing the lacing so the belt ends are properly attached. Cleating: You can count on us to perform high-quality belt cleating that is beneficial for industrial applications including food handling, road construction, wide-belt sanding, road construction and many others. Lap Preparations: We can perform lap preparation to ensure that the lap area is the same thickness as the belt, which is essential for a successful splice. V-Guides: We can install V-guides on a conveyor belt for precise belt tracking. Contact SEMCOR today to learn more about our wide range of material handling solutions, including our assortment of conveyor belt installation, repair and fabrication services.